Most of these items are found on ebay or amazon, with a few exceptions but best of all they are all under £10. I myself love anything with unicorns on and I know several of my friends do too, but I think pretty much everyone loves the unicorn theme right now. 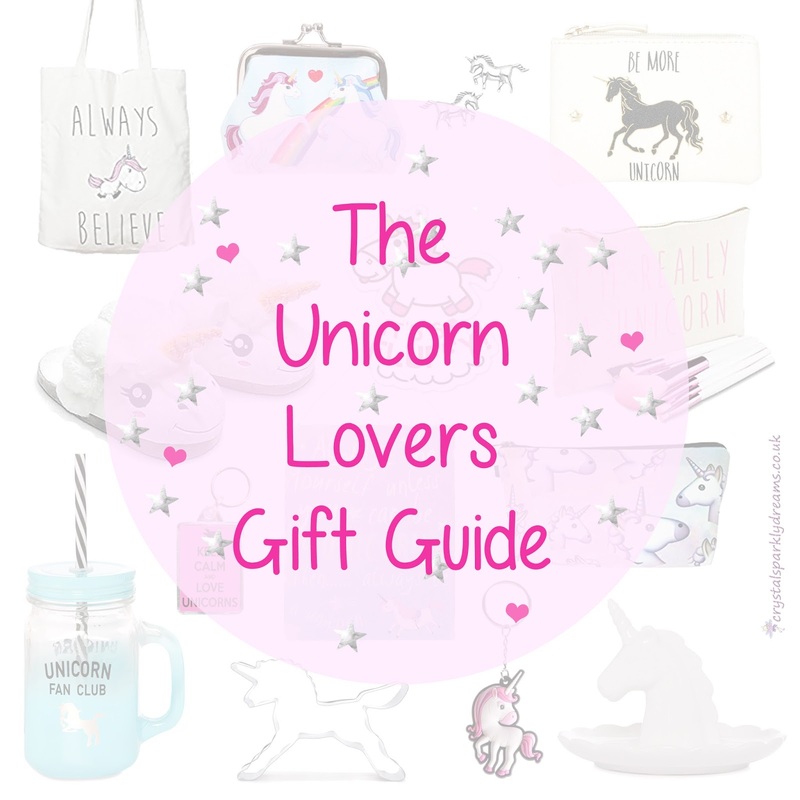 I found SO many amazing and lovely items online, from loads of different places and in different price ranges, but I thought these few were some of the nicest, most affordable and most easily available so you may even still have chance to get something for a special someone before Xmas comes around! 1 Always Believe shopping bag. 2 Unicorn/rainbow purse. 3 earrings. 4 Be More Unicorn purse. 5 slippers. 6 It's So Fluffy keyring. 7 I'm Really a Unicorn makeup bag (also available in black). 8 Unicorn Club jar. 9 Keep Calm keyring. 10 Always be a Unicorn plaque. 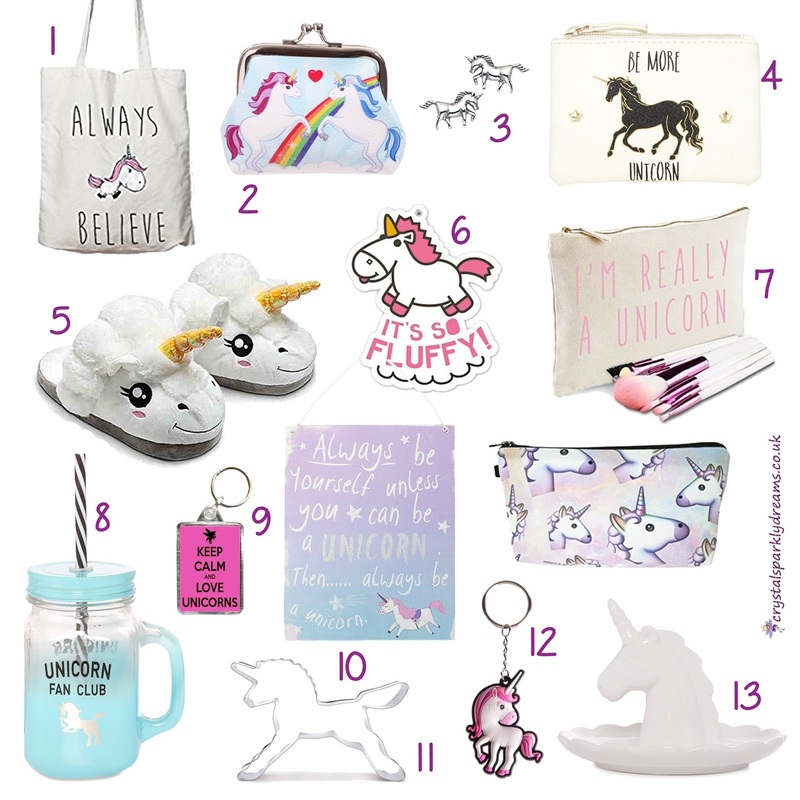 11 Unicorn emoji clutch/makeup bag. 12 cookie cutter. 13 shaped unicorn keyring. 14 trinket dish.